Analysis & Opinion: Ever since council approved (5-2) the 23 storey building at the North East corner of Brant & James, people have become more aware of the proposed changes in the new Official Plan to the downtown, and elsewhere in the city including the neighbourhoods surrounding the Aldershot, Burlington and Appleby GO stations. 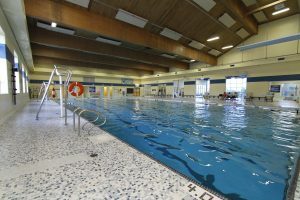 I have heard from residents across the city, and the majority have said they aren’t happy with the proposed changes, especially for the downtown, and the entire Official Plan process seems rushed. They are asking for more time to review the most recent draft Official Plan and revised downtown policies (released in November), the track changes, comments and supporting documents, as well as additional analysis and mapping for the downtown released in mid-January 2018 – all of which is more than 2000 pages. Though the Official Plan began in 2011, it started as an update, and the downtown was not included in the scope. See below for a list of the OP related reports since 2011. On Oct. 31, 2016, the project changed from an update to a rewrite of the Official Plan. 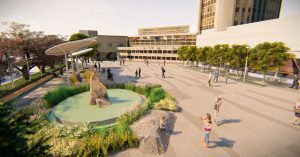 The first draft of the Official Plan was released in April 2017. The downtown policies were not ready. The new downtown policies were first released in September 2017, with a revised draft in November. The revised draft Official Plan was also released in November. The mobility hubs were discussed at committee for the first time in December. So, we’ve had less than three months to digest and make the best decisions for the downtown, the mobility hubs and the city. There is no need to rush. Municipalities are required to review our Official Plan every five years, but there is no deadline for completion. We’ve been at our OP for six years without penalty, so what’s a few more months? City business has continued throughout the review, receiving and processing development applications. Nothing stops while we work to get it right. Complete development applications submitted after Burlington Council adoption, but prior to Regional Council approval, will continue to be processed under the in force and effect Official Plan (1994, as amended), but during the review of the application, staff will be referring to the objectives and encouraging the applicant to consider the objectives applicable to the Downtown Mobility Hub in the proposed new Official Plan. Complete development applications submitted after Regional approval must conform with the proposed new Official Plan, with exception of any policies that are under appeal. The detailed area specific policies for the downtown aren’t ready. 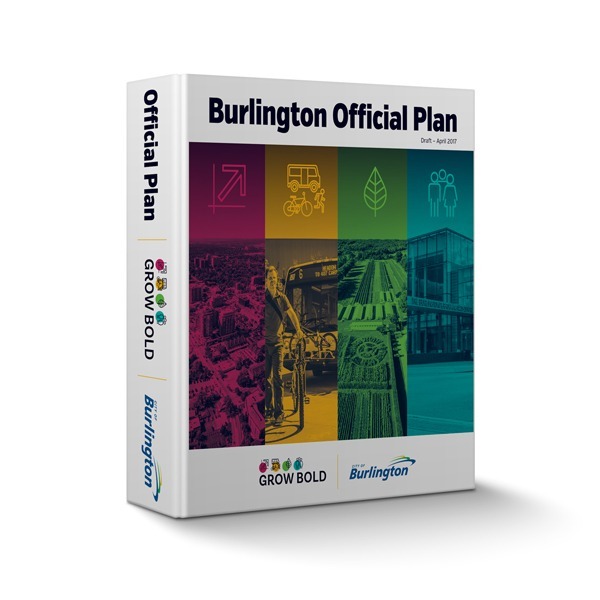 These policies and the mobility hub policies are proposed to be incorporated into Burlington’s new Official Plan with a future amendment during the Region’s Official Plan review in 2019. So, why not wait and do it all together? We have plenty of time to let the new council complete the city’s Official Plan and fit into the Region’s timing. The list of reports is in Appendix C to staff Report PB-50-17, on the Nov. 30 Planning and Development agenda. You can register as a delegation by noon Jan. 22 to speak at the Jan. 23 Planning & Development committee. Note which session, 1 or 6:30, you wish to speak at. Additional days are scheduled Wed. Jan. 24, and Thurs. Jan. 25 at 1 and 6:30pm if we are not finished with delegations, questions of staff and motions. All meetings are open to the public to attend, and are live webcast and archived on the city website with the agenda and meetings for the meeting. (Search for the meeting date on the city calendar to see agenda, minutes and webcast). I definitely agree with the postponement of the official plan. We are the taxpayers and have rights. I understand the need for intensification but in the right places. Downtown Brant street with Spencer Smith Park and all the festivals and activities will lose its feel with that 20+ storey high-rise across from City Hall. The street is too narrow and this development will open up opportunity for developers to tear down more downtown businesses and restaurants who will not be able to afford the rental spaces afterwards and downtown will lose its appeal as a tourist open air place. Add the minimum wage increase (which is needed) there will be no places for visitors to shop and bring in dollars to our city. Also condos/apartments are limited to singles or 1 child families, don’t include needs for disabled/handicapped. And don’t forget the lack of parking. It will be a long time until public transit will be taking us everywhere on a timely basis. time to meet halfway for those of us living now not 30 years from now. we must be heard! How many months is downtown Burlington going to have to suffer the continuous NOISE of construction? The traffic snarls? Then the eyesore of 23 stories? and its just starting wait till we have no downtown any more. The restaurant/bar scene gone than what…. Pam Casey yes it updated doesn’t mean condos no one can afford, family can’t raise their kids. I’m scared because I’m 27 years old and I still live with mom and dad because I can’t afford todo so differently in the city I grew up in I want to stay. There’s a proposal to build a huge apartment complex at the corner of Plains and Waterdown. That sounds like a good place to build and bring large grocery stores and such with it. Katie McGrath Agreed. Basics is on the block too? And the school? Yup,… sadly they don’t care, also they didn’t take in consideration where most don’t drive. They didn’t take in consideration that families have at least 2 cars, where this influx of cars going…. we don’t have flying cars yet…. Re: flying. Maybe height standards will encompass strategy for preventing bird strikes and continue to enable overhead navigation and perching. 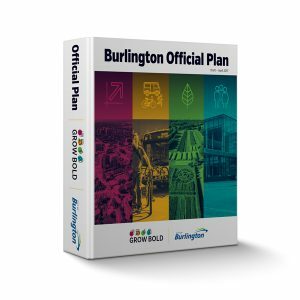 The election should be contested on any revised Burlington official plan and the changes that none of us want. However I doubt that your motion will pass, but at least keep trying. Most of this council and mayor needs to be given the boo.